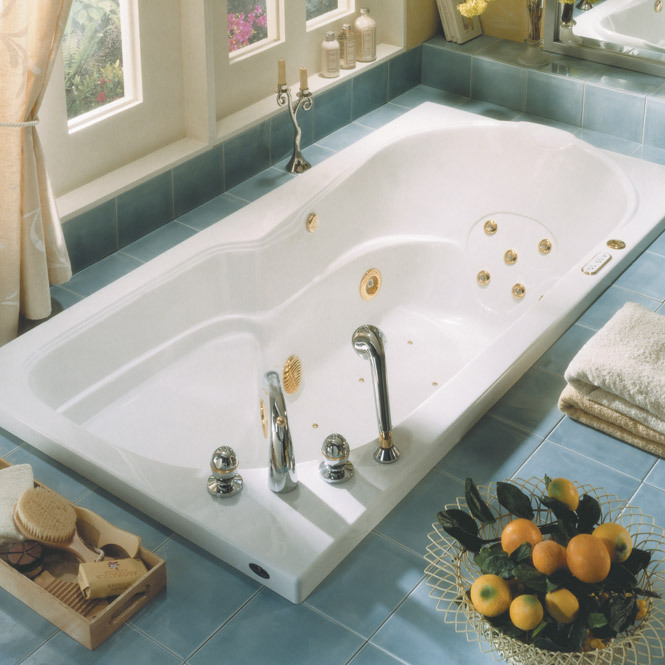 A rectangular bathtub with elegant lines. Categories: Drop In Bathtubs, Rectangular Tub. Interior width (floor) :21 1/2 in. Interior length (floor) :51 5/8 in. Interior width (top) :28 1/4 in. Bath’s total height :20 3/4 in. Interior length (top) :65 in. Total length :71 3/4 in. Maxi-comfort water depth :14 3/4 in.